Are you looking for ways to make the most of Twitter? There are many different types of Twitter tools, including options that can help you monitor Twitter from your desktop, share pictures, manage multiple accounts, and promote your business. No matter what you use Twitter for, there is a tool that will help you make the most of the microblogging platform. The following programs are either installed locally on your computer or they are accessed as web-based tools. By using these tools, you are able to update your Twitter account and read through your feeds without ever going directly to the Twitter website, as well as use additional functions and features. HootSuite: This social media dashboard allows you to manage multiple Twitter accounts, as well as accounts from other social networks like Facebook, Google+, LinkedIn and Foursquare. This dashboard's integrated tools include a multiple-column view to that allows you to see several Twitter lists at once, the ability to schedule Twitter updates into the future, and the ability to collaborate with team members on a company Twitter account. HootSuite is a web-based tool that requires no local installation. TweetDeck: Available both as a Chrome App and as a desktop client, TweetDeck is similar to HootSuite in that it allows you to schedule tweets and arrange your feeds with customizable columns. You can also use it to monitor and manage several Twitter accounts all at once, as well as filter content for ease of reading. Even though Twitter started out as a text-based service, many people have come to use it to share a variety of photos and images. Files cannot be attached to the "tweets" themselves, but several image hosting services have emerged that allow photos can be uploaded and shared through Twitter. Instagram: While Instagram is owned by Facebook, images uploaded to Instagram can also be shared on Twitter. There is no desktop client available, so Instagram must be used on an iOS or Android device. There are several fun filters and effects you can apply to your images, which is largely why Instagram became so popular in the first place. The updates that you post on Twitter are limited to just 140 characters, so any opportunity to "save" a few characters is always useful. That's why there are several URL shortening services available that can take the web address of a webpage that you'd like to share and substantially shrink down the number of characters needed. T.co: This is the official URL shortening tool and domain offered directly by Twitter. If you post any URL in a Twitter update, the Twitter website will automatically shrink it down using this domain, resulting in a URL similar to t.co/abc123. Bit.ly: In addition to shortening down the URLs to something much shorter, Bit.ly also lets you "do more with your links" by organizing them into private lists and allowing you to check statistics such as the number of clicks received. The latter feature is particularly valuable for business and marketing research. Su.pr: In addition to being a great five character domain (four letters, plus the period), Su.pr has the added advantage of integrating with StumbleUpon, one of the most popular social bookmarking sites on the Internet. Like Bit.ly, Su.pr also offers performance tracking for clicks, as well as for traffic, stumbles and retweets. There are many Twitter tools that provide unique functions and features for power users and those who want to make the use of their tweeting experience. For example, you may want to know if there are any people that you follow on Twitter who don't follow you back. Friend or Follow: This is a great online tool where you can see if there are people who you are following on Twitter who aren't following you back. Conversely, there is another section on the site that will show all the users who are following you that you are not following back. This can be displayed either in grid view or in list view. Social Oomph: Use this simple online tool to schedule tweets into the future, as well as save and reuse tweet drafts to save yourself from typing the same thing over and over again. For an additional fee, Social Oomph can also be used to automatically follow users who follow you or send direct messages (DMs) to any new followers. DoesFollow: Have you ever wondered if Ellen Degeneres follows Barack Obama on Twitter? With DoesFollow.com, you can find out if any particular Twitter user is following another specific Twitter user. All you need to do is enter their respective Twitter usernames and click the "check" button. OpenBeak: Previously known as TwitterBerry, OpenBeak is one of the most popular Twitter clients available for BlackBerry devices. You can post updates to Twitter, upload photos, reply to tweets, and mark tweets as favorites. TinyTwitter: For people who don't have smartphones, but still wish to stay connected to Twitter, TinyTwitter is a simplified Java-based program that can be used on compatible cell phones like Nokia S40 devices. It is much more limited compared to the more robust smartphone apps, but TinyTwitter does allow for basic functionality. TweetCaster: Available for the iPhone and iPad, TweetCaster is one of the more attractive Twitter clients for the Apple iOS platform. It has a graphical interface that lets you hide tweets and users. The SmartLists feature helps to organize your Twitter feed into appropriate lists too. Twitterrific: Designed to be as aesthetically pleasing as possible, Twitterrific is one of the better Twitter clients for the iPhone and iPad. It is very simple to use and understand, including a unified display for replies, retweets, direct messages, and mentions. You can easily browse conversation threads between users too. HootSuite Mobile: One of the best desktop web-based clients for Twitter is also available as a great Android app. The mobile app for HootSuite synchronizes with the desktop equivalent, giving you the same access to custom lists and columns, multiple account management, scheduled tweets, and more. It is also available for iPhone and iPad. Twitter may have started as a humble microblogging platform, but it has quickly grown into one of the largest social networking sites.. The expansion of all the available Twitter tools has further expanded the utility, viability and popularity of Twitter. 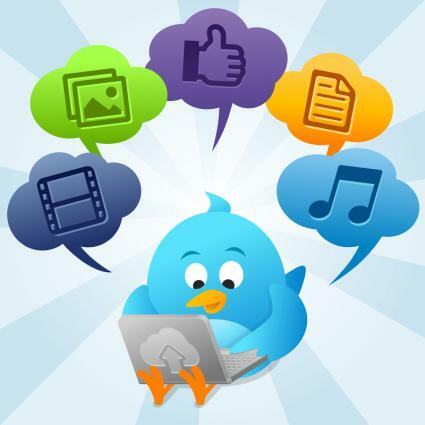 As more apps, tools, utilities and programs are developed that work with Twitter, the more creative users will become.